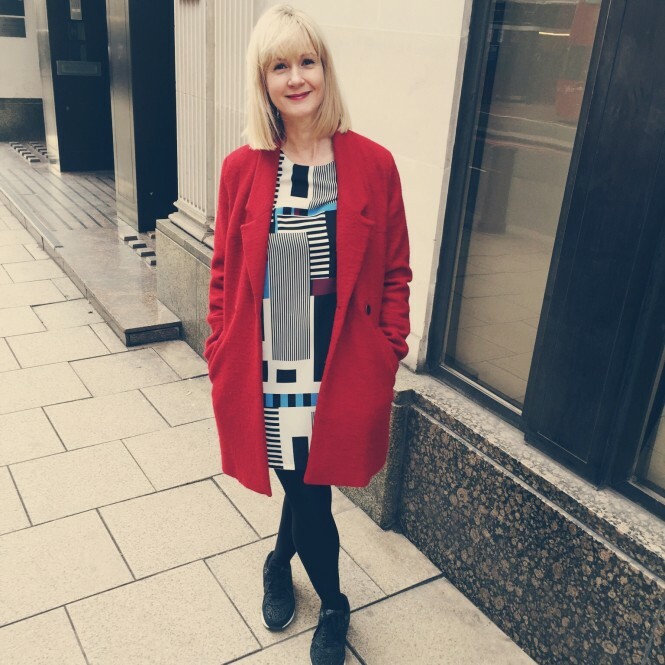 This new dark-blue, wool-blend coat from & Other Stories has become a fast favourite — although it’s not quite worth sweating my face off on the tube to wear it now. So after taking it for a quick test-drive around the neighbourhood, I’ve hung it back up to make its proper debut when the temperature drops a few degrees. I love the Treat of the Day deal that & Other Stories does. Each day they pick an item to put on deep discount for one day only. 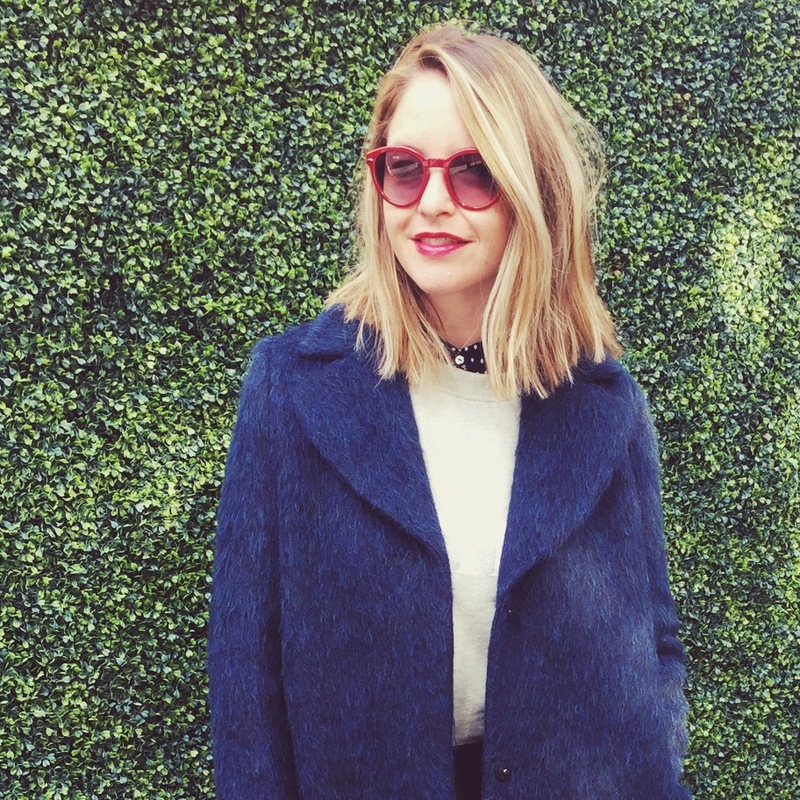 They don’t reveal what’s coming, so you just have to get lucky – which I did with this coat. I happened to pop into the store and saw the piece I had been eyeing was nearly 40% off. Really it’s a bit unfair… obviously no human could resist that. Shirt: A recent purchase from Zara. It’s quite thin and it has a nice neutral pattern, so it’s a really good layering piece. 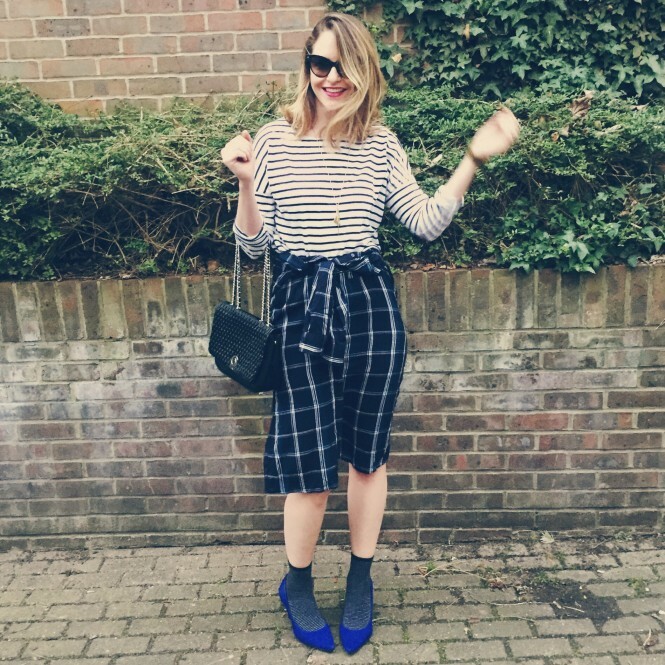 Culottes: Another item I picked up from & Other Stories. 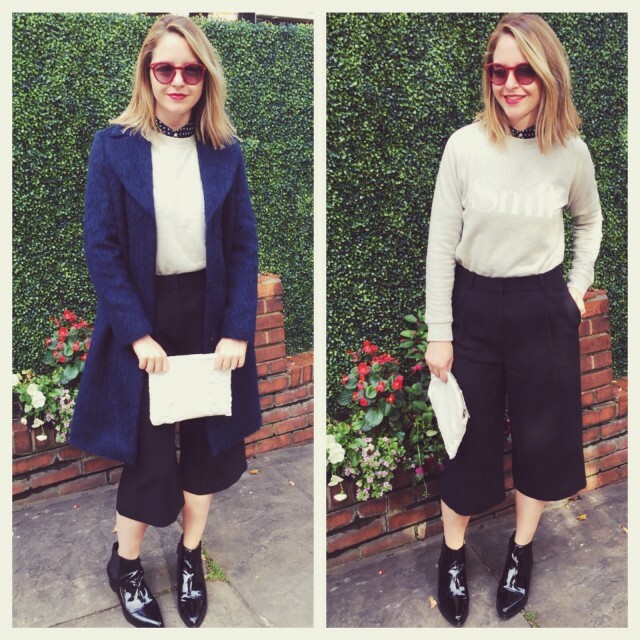 Did I mention I’m in love with culottes at the moment? 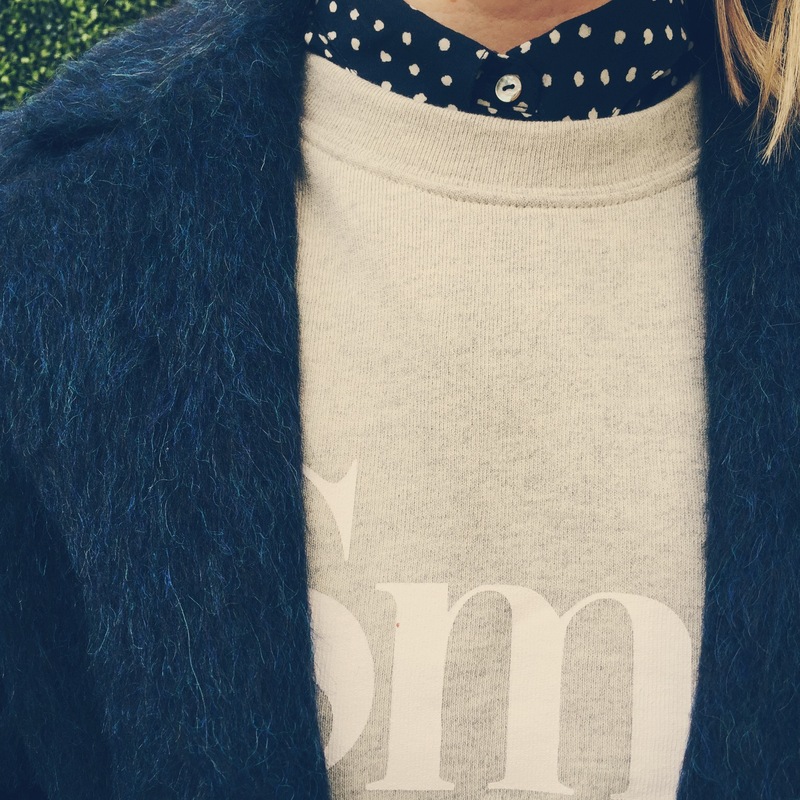 So good for transitioning to autumn weather. 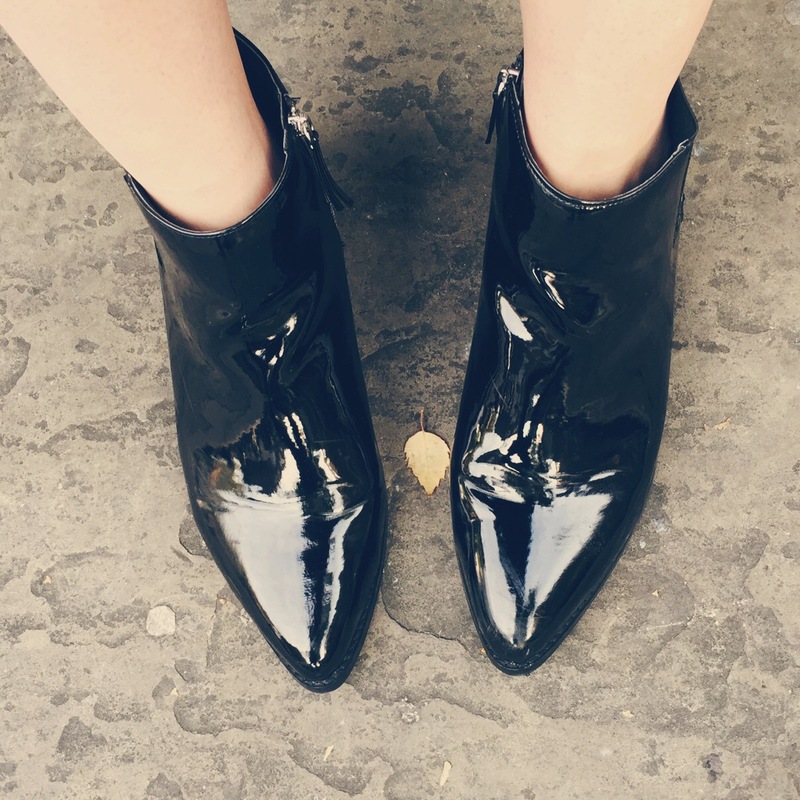 Boots: Pointy-toed patent ankle boots for the win this season. Sunglasses: Bought from Gap ages ago. Still love them.